The Kuhailan Zaid OA sireline came to Europe at the same time as the Kuhailan Haifi OA and Kuhailan Afas OA lines, in 1931. Kuhailan Zaid OA was purchased by Zientarski and Raswan especially for Babolna. He was bred by the Rualla-Enzer bedouins, sired by a Kuhailan Abu Junub out of a Kuhaila Ziyadah. 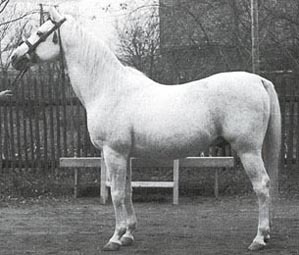 Described by Zientarski (quote from E Skorkowski "Arab breeding in Poland"): "At last they bring a stallion of the Kuhailan Zaid strain; bay, stripe, black legs to over the knees, a splendid line of the trunk, along strongly expressive neck, a dry head, legs somewhat worn out, hoofs in awful condition, but on the whole with much type, a first class sire, as created for Babolna... we buy him without any bargin". 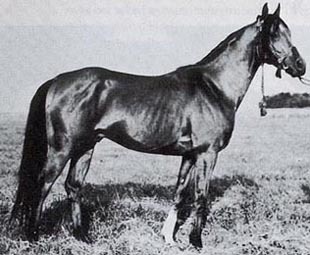 A chief sire at Babolna between 1931 and 1946, 26 of his daughters was used for breeding. Few of his sons were used and none in Hungary, only in Poland. The line is scarce today and no longer active as a sireline in Poland but can be found in USA, although not in great numbers. Many horses from this line has distinguished themselves as excellent performance horses with very good tempers and longevity. The first stallions to bring this line to Poland was Kuhailan Said 1934 and Kuhailan Szerif 1934, imported in 1937. Kuhailan Szerif left only one mare, Madelon out of Aghani. 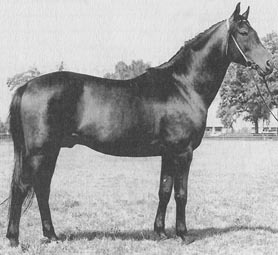 She produced one mare, Odette by Rozmaryn, who was not used. Kuhailan Said 1934 was not very successful either but left one son, Ali Said 1940 out of Najada, who was used at stud. He was the sire of Emir Said 1952 out of Eleonora imp Sweden who left some very good mares in Sweden. Emir Said, 3/15 (5-3-2), was part of the circus importation from Switzerland that also contained Nureddin. Far more successful in getting mares, Ali Said sired *Chimena, *Mimika, *Szarza and *Algorina. Kuhailan Said was taken to Russia during WW II and was used at Tersk but his offspring there did not breed on. The third son of Kuhailan Zaid OA to come to Poland was also the most successful. 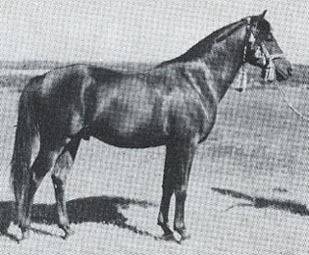 Kuhailan Abu Urkub 1935 out of 22 Kemir (full brother to Baza 1934) was imported to Gumniska in 1939. Sadly, he was killed along with most of the other horses from Gumniska at the end of the war (see "Kuhailan Afas" for more information about Gumniska). He crossed very well with the french-bred horses at Gumniska but also with mares of Babolna lines. 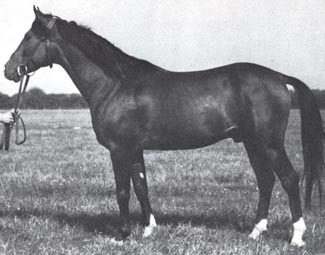 The stallions he sired were Grand 1944 and Gabor 1944. He also left the prolific mare Forta, the founder of a great racing dynasty. Another of his daughters, Ferha, was the dam of Faher. 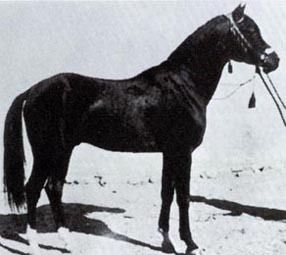 Grand belonged to a french mareline with more desert blood up close since his maternal grandsire was Kuhailan Kruszan OA. He sired two stallions used at stud, Mokan 1960 out of Mokdiara and Kord 1961 out of Cosmosa as well as *Dokhailan, an in-utero export to USA. None of them left any sons in Poland. 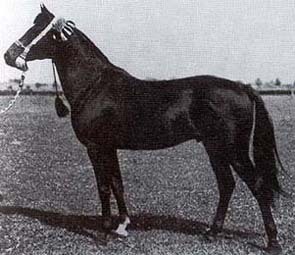 Mokan was only used in private breeding and left some mares. Kord sired two sons exported to USA, *Escudo and *Mako. *Escudo was a tough racehorse with a result of 3/27(4-1-3). Gabor was of Babolna lines on his dam's side as well. Kohejlanka was imported from Babolna to Gumniska in 1929. She was also the dam of stallions Kuhailan Haifi I by Kuhailan Haifi OA and Wezyr by Kuheilan Ajouz OA, both exp to Babolna. 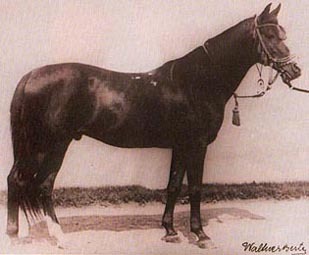 Gabor bred several mares originating from Babolna with good results but he was also successful with mares of polish origin. As many other members of this line, he sired good performance horses. 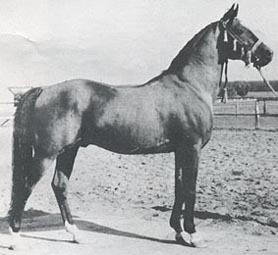 His son Mir Said was a brave racehorse, 2/15(8-3-0)D, who in turn sired *Algorab, a champion racehorse. Mir Said also sired Elbrus, 1/6 (3-1-0) and Derby winner in 1969, but he was not a success as a sire and was later gelded. Elbrus sired one son, *Pembrus, used in USA. This sireline is extinct in Poland today. It is known for it's excellent temper and good performance abilities.